A campaign website has been launched for Colleen Reardon Daly, candidate for judge in the 10th Judicial Subcircuit. That's a link to the campaign website in the preceding sentence; a link has also been added to the blog Sidebar. 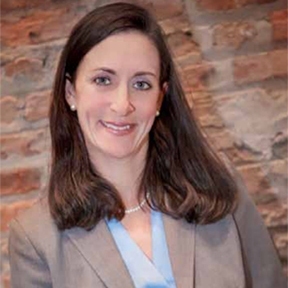 Licensed as an attorney in Illinois since 1996, Daly has a private practice in the West Loop area. Before setting up her own practice, Daly worked as an Assistant State's Attorney for 13 years, rising through the ranks to a felony courtroom. Before becoming an attorney, Daly earned a certificate in secondary education. According to her campaign biography, Daly has volunteered for "Wills for Heroes," a program that provides essential legal documents free of charge to our nation’s first responders, including wills, living wills, and powers of attorney. According to the campaign bio, Daly "also joined with Misericordia and recently ran a marathon to benefit the most vulnerable people in her community." Daly is married to a police sergeant and is raising three children. 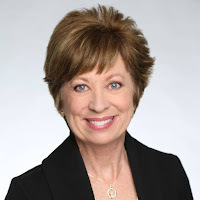 Carolyn Joan Gallagher has announced her intention to seek a judicial vacancy in the 2016 primary and a campagin website has been set up in support of her candidacy. That's a link to the campaign website in the preceding sentence; a link has also been added to the blog Sidebar. 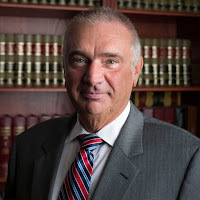 Licensed as an attorney in Illinois since 1982, Gallagher maintains a law office in Evanston. She filed for both a 9th Subcircuit vacancy and a countywide vacancy in the 2014 primary season. She withdrew from the 9th Subcircuit race, but ran countywide, finishing second to William B. Raines in the race for the Neville vacancy. According to her campaign website, Gallagher's practice consists of "complex commercial litigation including securities fraud, RICO, contracts, financial institutions law, mortgage foreclosure and foreclosure defense, creditors' rights, mechanic's liens and construction law, and appellate advocacy in state and federal trial and appeals courts." She also has taught legal writing at DePaul University Law School. 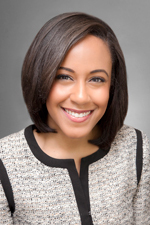 The campaign website also notes that Gallagher has served as a volunteer attorney for the Chicago Legal Clinic, for the Clerk of Court Expungement Summit, and for the Chicago Bar Foundation Chancery Advice Desk. According to her campaign website, Gallagher was also co-founder and general counsel for the New Health Foundation Worldwide, a "not-for-profit corporation focusing on research, advocacy and education regarding transgender and other gender-variant individuals." Supporters of Gallagher's judicial campaign are planning a fundraiser for her tomorrow evening, October 28, from 5:00 to 7:00 p.m., in the 5th floor conference room at Griffin McCarthy & Rice LLP, 55 W. Monroe Street (the Xerox Building). Tickets are $150 each, but sponsorships are available (Silver - $250, Gold - $500, Platinum - $1000). Nannette McCarthy is hosting the event. For more information concerning the fundraiser, or to order tickets, email info@electgallagher.com. The Diversity Scholarship Foundation is hosting a complimentary reception in honor of all bar association presidents tomorrow evening, Wednesday, October 28, from 5:30 to 7:30 p.m., at the offices of Kirkland & Ellis, 300 N. LaSalle. If you would like to attend, simply click here to RSVP. Yes, as you will note, the preferred response date was yesterday, but I checked today with Carolina Y. Sales, who is the treasurer of the Diversity Scholarship Foundation and is helping to organize tomorrow's event, and she said reservations are still being accepted. This Scholarship will be awarded to a student who actively advocates for diversity within the Illinois legal community and works to bring focus to those who do pro-bono work within their community. Students are required to submit an article on their views about “diversity within the legal community” and maintain a 3.8 GPA. This Scholarship will be awarded to a law student who is interested in pursuing a career in public service or a student who is actively involved with a not-for-profit agency that represents the needy and the underprivileged. Eligible students maintain a 3.5 GPA. This Scholarship will be awarded to an undergraduate student who is actively applying to an accredited law school in Illinois, or is a recent graduate with a four-year degree and is taking the LSAT. Eligible students maintain a 3.5 GPA. The award will be sent directly to LSAT or to a law school and/or to a LSAT class provider and/or tutoring for LSAT. This Scholarship (an award of at least $500) was established with the support of attorney Stacy J. Campbell, an Associate with Hinshaw and Culbertson, and her fiance Dr. George F. Viamontes. With their wedding set for October of this year, Stacy and George are inviting guests to make donations to the DLSSA in lieu of traditional wedding gifts. They also encourge and invite everyone to contribute to this scholarship fund and help support derserving law students with disabilities for many years to come. This Scholarship will be awarded to a disabled law student who is attending an accredited law school in the Chicago area. There is no GPA requirement for this scholarship. Read more about the DLSSA and contribute here. In addition to these scholarships, DSF provides opportunities for externships with judges in a variety of different fields. Those selected for externships will be provided a stipend. Interested persons must complete a the scholarship application linked above. All of the requirements set forth in the scholarship application apply to those seeking externships including mandatory attendance at the 2015 Unity Award Dinner. I'll have a post up about the dinner soon. Meanwhile, for more information about the scholarship program, dsfchicago@gmail.com. A new countywide judicial vacancy has opened up, according to the Illinois State Board of Elections. 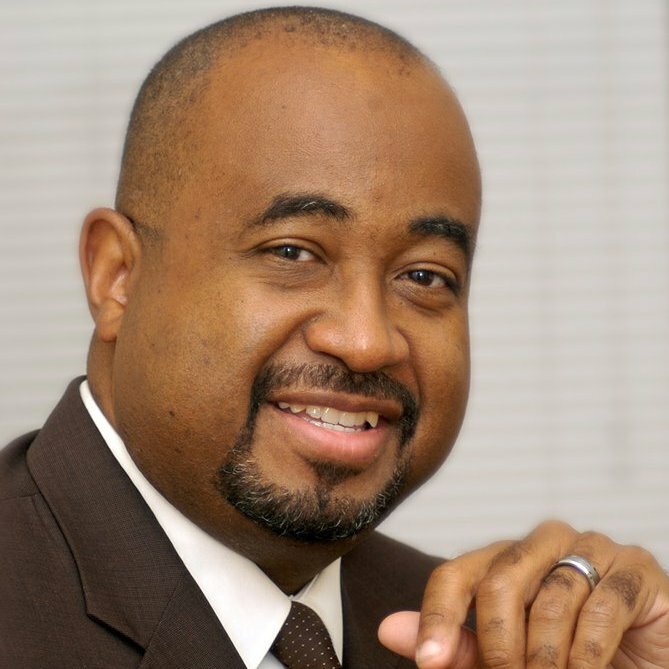 Administrative Law Judge Fredrick H. Bates was listed as the 'first alternate' following the August slating meeting of the Cook County Democratic Party Central Committee. He presumably is pre-slated this morning for the new Richard F. Walsh vacancy. 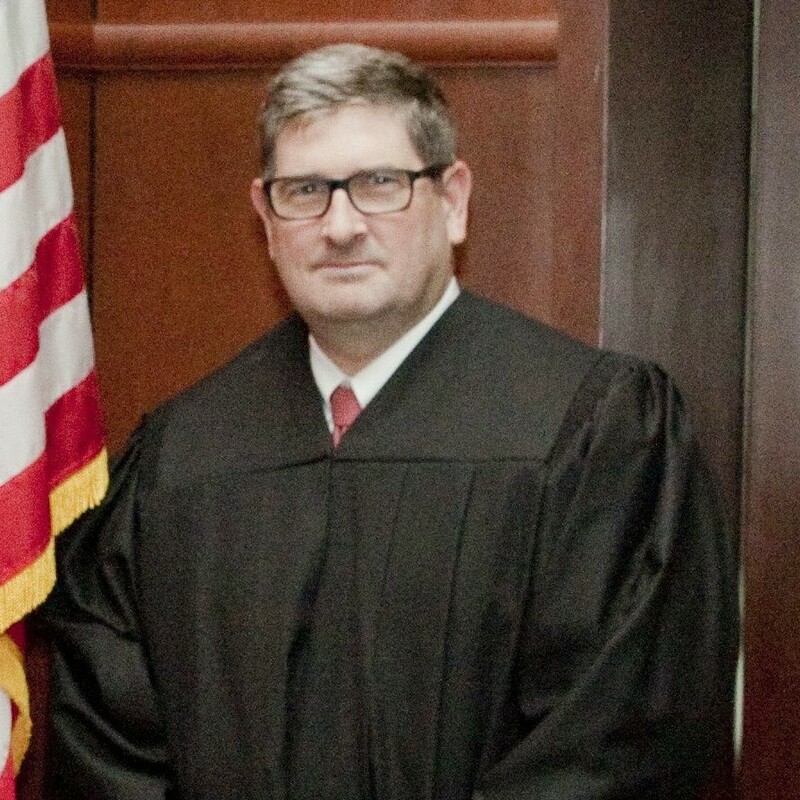 Supporters of Judge John Fitzgerald Lyke's countywide judicial bid are hosting a South Suburban Reception for their candidate on Tuesday, November 3 from 5:30 to 8:30 p.m. at Zachary's, 13415 S. Ridgeland Rd. in Palos Heights. Tickets for the event cost $150 each but sponsorships are available ($250 - Friend, $500 - Supporter, $1,000 - Host). Discounted tickets, for $65 each, may be obtained by "young professionals," those with five or fewer years' experience. Attorneys Mohammed Ghouse and John Fairman are hosting the fundraiser. For more information about the event, or to order tickets, call (312) 854-8018 or click on this page of Judge Lyke's campaign website. Family law practitioner Lisa A. Copland has announced her intent to seek one of the two 1st Subcircuit vacancies in the March primary. That's a link to her campaign website in the preceding sentence; a link has also been added to the blog Sidebar. Copland has been licensed as an attorney in Illinois since 1997. According to the campaign bio on her website, Copland practices regularly in the Circuit Court's Domestic Relations Division, representing men and women in divorce cases, and also before the Parentage Court. She has represented parties in domestic violence matters and has served as court-appointed Guardian ad Litem in highly contested custody cases. Copland has also represented children and families in the Probate Division, and in the Juvenile Court, in both delinquency and child protection matters, as well as in DCFS investigations and appeals. According to her campaign website, Copland is a graduate of Princeton University and Northwestern University Law School. 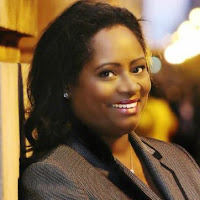 She has served as a volunteer attorney with the Chicago Volunteer Legal Services Foreclosure Mediation Program and has provided pro bono consultations for the Cook County Bar Association Free Legal Clinic. Supporters of Mary Alice Melchor's 5th Subcircuit judicial bid are planning a fundraiser for their candidate on Saturday, October 31, starting at 6:00 p.m. at Balmoral Park Racetrack, 26435 South Dixie Highway in Crete. A Special Race Dedication for the Committee to Elect Mary Alice Melchor for Judge. 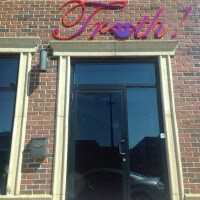 The dining room opens at 6:00. The buffet will be served from 6:30 to 8:30, with desserts available until 9:00 p.m. The first race starts at 7:10 p.m.
For more information about the event, or to order tickets, call Michael Wilson at (312) 402-7194, Maricke Gilbert at (708) 259-5339, or email marymelchorforjudge@gmail.com. Celeste K. Jones, an attorney in the Public Guardian's Office, is running for judge in the 2nd Subcircuit, and her supporters have organized a fundraiser for their candidate on Tuesday, November 10, from 6:00 to 8:00 p.m. at Truth Italian Restaurant, 56 E. Pershing Street, Chicago. Tickets for the event are $50 apiece, but sponsorships are available ($100 - patron, $250 - sponsor). For more information about the event, or to order tickets, see this page of the candidate's campaign website. The Cook County Democratic Party will be meeting at 11:00 a.m. today, October 23 at the Erie Street Cafe, 536 W. Erie Street, to determine whether to rescind its endorsement of Circuit Court Clerk Dorothy Brown for the March Primary. Today's meeting follows a decision Wednesday by the executive committee of the Cook County Democratic Party, calling for today's full meeting of the Central Committee. The Central Committee is made up of the 50 Chicago Ward and 30 Township Committeemen. Any presentations by Circuit Court Clerk candidates seeking a possible endorsement will be open to the public. However, the deliberations of the Party Committeemen are private. The unusual reconsideration of the Central Committee's decision to slate Dorothy Brown for another term as Clerk of the Circuit Court stems from recent revelations of an active, ongoing Federal investigation including a visit by Federal investigators to Clerk Brown's home during the week of October 5. Brown's county-issued cellphone was apparently seized by agents in the course of that visit. For the first time in many years, the Democratic Committee of the 9th Subcircuit has come together to unanimously endorse a candidate, throwing their support behind Judge Jerry Esrig in Cook County’s 9th Judicial Subcircuit race. Committeemen in the 9th Subcircuit, which includes Chicago's 49th and 50th Wards (and portions of the 48th, 40th and 41st Wards) as well as and Evanston and Niles Townships (and portions of New Trier, Northfield, and Maine Townships), have a long tradition of independence. A unanimous endorsement of anyone in that subcircuit is indeed newsworthy. The good news is that it's not too late -- the deadline for applications is 4:00 p.m., Friday, October 30. To be eligible for consideration for appointment, an applicant must be a lawyer in good standing, licensed to practice law in Illinois and a resident of the far northwest suburban 13th Judicial Subcircuit. Justice Burke's screening committee, chaired by retired Supreme Court Justice Benjamin K. Miller, will consider the applications submitted. www.illinoiscourts.gov. From there, follow the instructions on the "Latest News" scroller announcing the 13th Judicial Subcircuit vacancy. Completed applications should be submitted by mail to the Hon. Benjamin K. Miller, c/o Jenner & Block, 353 N. Clark St., 42nd Floor, Chicago, Illinois 60654. An anonymous reader left a comment consisting of this link to the campaign website of Assistant Public Defender Rosa Silva, another candidate for judge in the 7th Subcircuit. Yes, that's a link to the site in the preceding sentence; a link has also been added to the blog Sidebar. Silva has been licensed as an attorney in Illinois since 2001. According to her campaign bio, Silva currently works as an Assistant Public Defender in a felony courtroom at 26th & California. She has over 100 bench trials and 55 felony jury trials, according to the campaign bio. 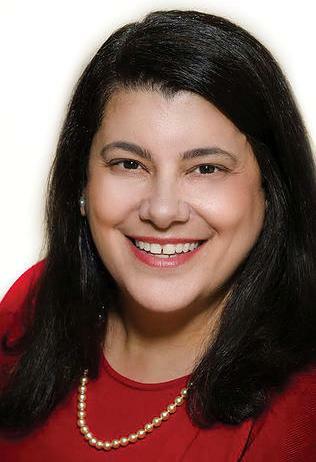 Silva is a past president of the Hispanic Lawyers Association of Illinois and is, according to her campaign bio, the current recording secretary of the Women's Bar Foundation, the charitable arm of the Women's Bar Association of Illinois (which she also serves as one of the chairs of the WBAI Diversity Committee). 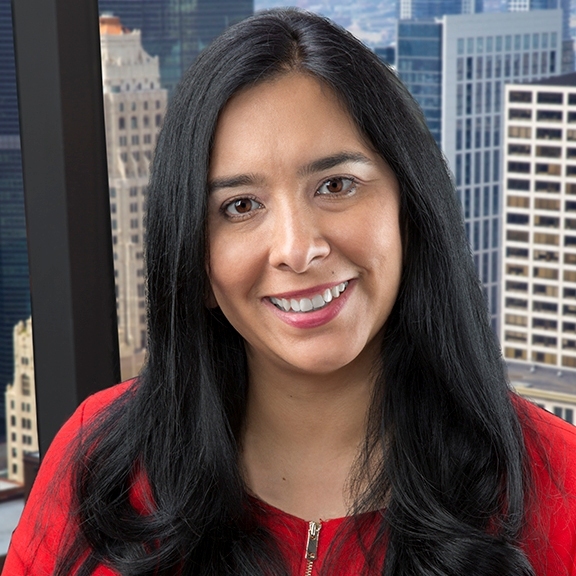 Silva was named one of the "Top 40 under 40 Illinois Attorneys to watch" published by the Chicago Daily Law Bulletin and is a member of AFSCME, Local 3315. 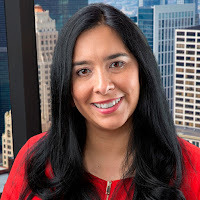 In addition to her bachelor's degree (from the University of Illinois at Urbana-Champaign) and her law degree (from IIT-Chicago Kent), Silva also holds a Master's Degree in Sociology from the University of Illinois at Chicago. According to her campaign bio, Silva recently participated in the "26th Street Reader, which tutored elementary school students at Kannon Elementary in the Lawndale neighborhood. She has participated in Lawyers in the Classroom and has gone to various schools in Chicago to teach elementary school students about Constitutional Law." A post here yesterday prompted an email from Patrick D. John, an attorney with the Barclay Law Group, who wrote to advise that he is planning a run for the Rivkin-Carothers vacancy in the 7th Subcircuit. His note advises that, "to the best of my knowledge, I'm currently the only Black male in the race in the 7th right now." John has no campaign website yet, but there is a Facebook page. He has been licensed as an Illinois attorney since 1998, according to ARDC, and his firm bio notes that he started his law school career while still serving in the U.S. Coast Guard. "One of his legal passions," the Barclay firm bio notes, "is helping military veterans who are denied disability benefits receive the payments they’ve earned for serving their country." I met Judge Spratt briefly, and she seemed to be a very nice lady. Very professional and gracious-I have no problem with her personally. In fact, I have no reason to believe that wouldn't be a fine judge. Nor do I have any reason to believe that her judicial decisions will be tempered in any way by those who donate to her campaign. But all that is the beside the point. I think the obvious elephant in the room is the issue of race, not prior party affiliation or her husband's judicial history. The sub-circuits were created in large part to make it easier for more Blacks and Hispanics to become judges. There are Black and Hispanic candidates who would also make fine judges, who are being denied the opportunity that the sub-circuit system was designed to give us. The sub-circuit system was designed in large measure to allow us to become judges, and to do so with minimal control from those who live outside our communities. Our nation has been plagued by racism for centuries. Things have gotten better for Blacks in so many ways over the years, but there is still much room for improvement in several arenas. The justice system being chief amoung them. The mere fact that in a city as racially diverse as Chicago, we can go so long without a single Black male federal judge should give us pause. Of the 10 judges in the 7th currently, there is only 1 Black male, yet there are are 2 White males. Supporters of Maureen O'Donoghue Hannon's countywide judicial bid have announced a fundraiser for their candidate on Saturday, November 7, from 5:00 to 8:00 p.m., at the Jefferson Tap, 325 N. Jefferson in Chicago. Cocktails and hors d'oeuvres will be served. Tickets for the event are $100 each, and one can become a Sponsor for a $250 donation. For more information, or to order tickets, contact Patrick Clair by email at fundraiser@mohforjudge.com or by calling (773) 447-7061. On October 4, 2015, The Democratic Party slating committee for the 7th Judicial Subcircuit unanimously slated Hon. Judge Marianne Jackson for the Anthony L. Burrell vacancy and Jennifer Ballard, a partner at Hinshaw & Culbertson, for the Anita Rivkin Carothers vacancy. FWIW received contacts by or about two other 7th Subcircuit candidates yesterday as well; posts about these candidates will follow in due course. I put this up before, but the Bertina Lampkin campaign requested that I again remind readers of the fundraiser being held tonight to support Justice Lampkin's candidacy at Petterino's, 50 West Randolph Street, from 5:30 to 7:30 p.m. Mayor Rahm Emanuel will be the Honorary Chair for this gathering. Tickets are priced at $150 each and sponsorships are available as well (Friend - $250, Supporter - $500, Host - $1,000, Co-Chair - $2,500, or Chair - $5,000). For more information the event, or to order tickets, email Kelly McKevitt at kmckevitt@newchicagollc.com, or call her at (312) 448-8014. The Edward J. King campaign has reached out to FWIW to advise that their candidate, who was appointed to the Kunkle vacancy in the west suburban 4th Subcircuit by the Illinois Supreme Court a year ago, has recently been slated as the Democratic Party's candidate in the March 2016 Primary. With that information, we now know of Democratic Party slating in the 1st Subcircuit (Judges Maryam Ahmad and Anthony Simpkins), the 4th (Judge King as noted above), the 6th (Richard C. Cooke and Carlos Claudio), the 10th (Stephanie Saltouros), the 11th (Judges Marc Martin and William B. Sullivan), and the 12th (James E. Hanlon, Jr. and Judge Carrie Hamilton). I don't know who's been slated by the Democrats in Subcircuits 2, 5, 7 and 9, which sounds pretty much like the list of TV channels available when I was a kid. I'm hoping FWIW readers can fill the gaps. I also don't know of anyone who's running in the 13th Subcircuit, the solid Republican enclave on the northwest corner of Cook County. Again, I'm looking for reader assistance here. Found on the Internet, the campaign website of Stephanie Saltouros, recently slated as the Democratic Party's candidate for judge in the 10th Judicial Subcircuit. That's a link to the campaign website in the preceding sentence. A link has also been added to the blog Sidebar. Saltouros's website touts her lengthy experience as a prosecutor, from 1996-2008, highlighting her experience leading the "Domestic Violence prosecution team in the Second [Municipal] District, where she used her expertise in that area to prosecute hundreds of domestic abusers" and her subsequent service in the Felony Review Unit of the State’s Attorney’s Office, where, according to her campaign site, she "worked closely with police officers from Chicago, Park Ridge, Niles, Des Plaines, and Glenview, assisting in hundreds of investigations that led to the prosecution and conviction of thousands of criminals." The last five years of her career in the State's Attorney's Officer were spent as a felony prosecutor; she has been in private practice since 2008. In addition to service on her Local School Council and PTA (her children attend CPS schools, according to the website), Saltouros "is the Vice President of the Emergent Theatre Company and also serves as a member of its Board of Directors." Supporters of Ed Underhill's 6th Subcircuit judicial bid are hosting a fundraiser for their candidate on Thursday, October 22, from 5:30 to 7:30, at the offices of Masuda, Funai, Eifert & Mitchell, Ltd., 203 N. LaSalle Street, Suite 2500. Tickets for the event are $250 each, but sponsorships are available ($500 - Friend, $1,000 - Host, $2,500 - Chair). Dr. Kenneth and Ellen Chessick are the official hosts for this fundraiser. For more information about the event, or to reserve tickets, email Mia@miaphifer.com or call Mia at (773) 398-6896. Park Ridge criminal defense attorney Thomas F. McGuire has announced his intent to seek a judicial vacancy in the March 2016 primary -- and his supporters are throwing a fundraiser on his behalf tonight, Wednesday, October 14, from 5:00 to 7:30 p.m., at the Park Ridge Country Club, 636 N. Prospect in Park Ridge. Tickets for the event are $100 each, but sponsorships are available (Bronze - $250, Silver - $500, Gold - $5,400). For more information, or to order tickets, call Frank DiFranco at (847) 825-7744. McGuire is a former Cook County Assistant State's Attorney. He has been licensed in Illinois since 2000. Supporters of Judge Patricia "Pat" Spratt have scheduled two October events for their candidate. First up, on Tuesday, October 13, is a fundraiser at O'Brien's Restaurant, 1528 N. Wells. Tickets for the event, which runs from 5:30 to 7:00 p.m., are priced at $125 apiece. Sponsorships are also available ($250 - Supporter, $500 - Patron, $1,000 - Sponsor). Co-chairs for this fundraiser are Kevin Forde and Rich Prendergast. The second event is a free get acquainted meeting on October 22, from 6:00 to 7:30 p.m. at the Good Earth Greenhouse and Cafe, 7900 Madison in River Forest. Julie Bauer and Paul Greenberg and Regan and Tom Cronin are the hosts for this event, which is billed as an "opportunity to meet Pat and learn about her background, experience and campaign for judge." Spratt was recently appointed to the Rivkin-Carothers vacancy in the 7th Subcircuit by the Illinois Supreme Court. For more information about either event, to obtain tickets, or to reserve a place at the River Forest event, email eric@blueprintcampaignconsulting.com. Found on the Internet, the campaign website of countywide judicial candidate and current sitting Judge Daniel Patrick Duffy. That's a link to the campaign website in the preceding sentence; a link has also been added to the blog Sidebar. 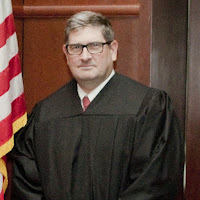 The Illinois Supreme Court appointed Duffy to the Ruscitti Grussel vacancy in April 2014. The Cook County Democratic Party slated Duffy for a countywide judicial post this past August. At the time of his appointment, Duffy was a shareholder in the Chicago office of Peterson, Johnson & Murray, S.C. He earned his undergraduate and law degrees from the University of Notre Dame, in 1987 and 1993 respectively. In between Duffy received an M.B.A. from Vanderbilt University (graduating in 1989). Licensed in both Wisconsin and (since 1995) in Illinois, Duffy also served as a member of the Attorney Registration and Disciplinary Commission’s Review Board and as a Hearing Officer for the Metropolitan Water Reclamation District prior to his appointment to the bench. Judge Carrie Hamilton's campaign manager Sean Tenner called the other day to let FWIW know that his candidate had $138,860.57 in funds available as of the close of the September 30 reporting period, raising $72,590 in donations during that time. Hamilton was recently slated by local Democratic committeemen for the Tristano vacancy in the north suburban 12th Subcircuit. If you'd like to see how your favorite candidate is doing in the fundraising department, visit this page of the Illinois State Board of Elections website. Change the first 'drop down' from 'starts with' to 'contains' and enter the last name of the candidate in which you're interested. Supporters of Brendan O'Brien are planning an October 23 fundraiser for their candidate, from 5:30 to 8:00 p.m., at Kenny's Tavern, 917 W. 55th Street, Countryside. Cocktails and food will be served; nominating petitions will be available for signature or distribution. Hinshaw & Culbertson partner Matthew Walsh II and the Hon. Donald J. O'Brien, Jr. (Ret.) are the co-chairs of the event. The suggested donation for the fundraiser and petition party is $75 per person, but sponsorships are available for $300. To order tickets, or for more information about the event, email nrowell@hinshawlaw.com. An alert reader pointed out that the Illinois State Board of Elections has posted a new judicial vacancy, this one in the far northwest suburban 13th Subcircuit. The 13th Subcircuit, alone among Cook County subcircuits, has consistently produced Republican judges. Democrats -- like Republicans in virtually all other parts of Cook County -- often don't even bother to field contestants. Supporters of Judge Alison Conlon are planning an October 29 fundraiser for their candidate, from 5:00 to 7:30 p.m., in the Library Room of the Union League Club. Tickets for the event are $250 each, and sponsorships are available (Friend - $500, Sponsor - $1,000, Host - $2,500). For more information about the fundraiser, or to reserve tickets, contact Jonah Siegellak at (773) 294-7828 or email him at jsiegellak@gmall com. The co-chairs of the Conlon campaign are Han. Sheila O'Brien (Ret.) and Cherryl Thomas. I used to say all judicial candidates have to raise money to get elected. I have since learned that, if this is a rule, there are exceptions. Very few exceptions, but some. But most -- nearly all -- judicial candidates have to raise money. 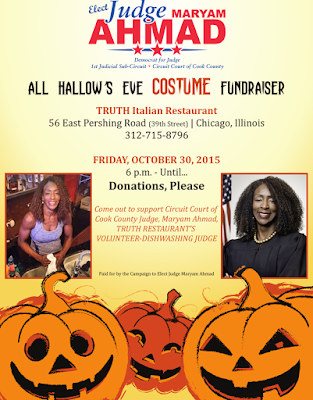 And so it is no surprise that supporters of Judge Maryam Ahmad have scheduled an October 30 fundraiser for their candidate at Truth Italian Restaurant, 56 East Pershing Rd. And, given the proximity of the event to Halloween, it is likewise no surprise that guests are asked to come in costume. It turns out that Truth's owner, Ms. Peytyn Wilborn, and Judge Ahmad are friends. A campaign representative explained in an email, "Judge Ahmad was very impressed by Ms. Wilborn's drive and determination to succeed in an area of the city that needs more businesses. Judge Ahmad started volunteering to wash dishes at Truth to assist Ms. Wilborn in her efforts AND as a way to personally meet southside residents. Judge Ahmad believes that the first time a person meets a judge should NOT be in court." The October 30 fundraiser starts at 6:00 p.m. No specific admission price has been specified but (remember, this is a fundraiser) campaign donations will be cheerfully accepted. For more information about the event, contact Ms. Wilborn at (312) 715-8796.